Whether you choose to buy a lifted truck for a better Houston area off-roading experience, or you just think they look cool, you’ll find the perfect option in our lifted truck inventory. Choose a body-lifted light truck for a bit of style, or go all-in with your favorite wilderness warrior to tackle anything the Pearland area offers. 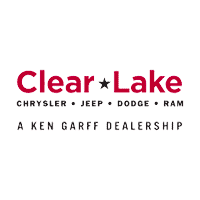 Explore the possibilities in our inventory below, then contact us to schedule a test drive at Clear Lake CDJR. Get more from every Deer Park drive with one of the lifted trucks in our inventory, or let us help you build your own at Clear lake CDJR.